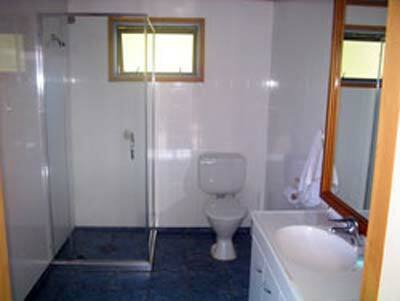 This en-suite option is great for mature people or families. It also has facilities for disabled people and you can park the car right beside it. 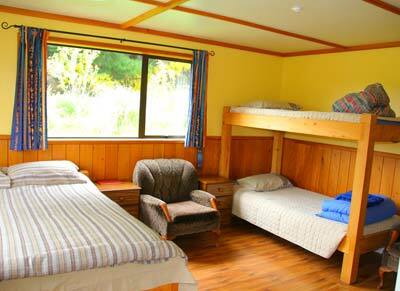 It is equipped with a very comfortable made up queen size bed and 2 bunk beds. 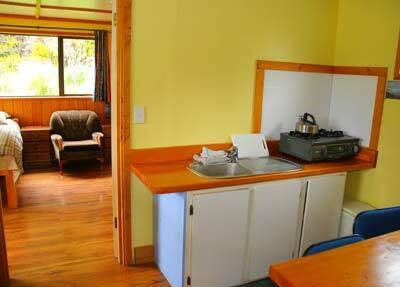 There is a 2 seater lounge, own little kitchen room with gas cooking unit and grill, and a bathroom with shower. One main difference between this and our other lodges is that this one has power outlets where you can recharge technical equipment. You can also use all of Freestone’s other facilities, like the washing machine, dryer, internet and storage room. 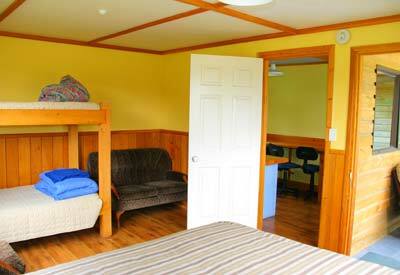 The concept of this lodge is similar to a motel unit. It is totally self-contained. It is more private and quiet than in other backpackers and there is no common room with TV, but if you like to meet people there are many ways: you can go and visit them in their lodges or invite them into yours, meet at the BBQ area, watch the sunset together from the verandah of the main lodge or come for the odd social night, or concert to our house. If you prefer the comfort of a house with TV, power sockets, a common area and a larger, better equipped kitchen you should choose our holiday house. Without the nasty sandflies it’s simply a paradise from which to explore Fiordland. 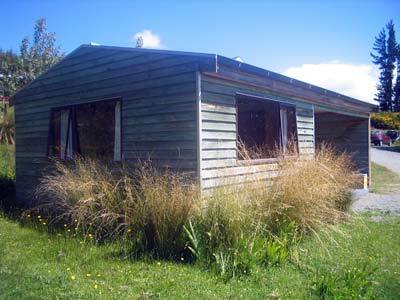 We’ll do our best to help you to plan your holiday here and offer a free booking service for all activities in Fiordland.